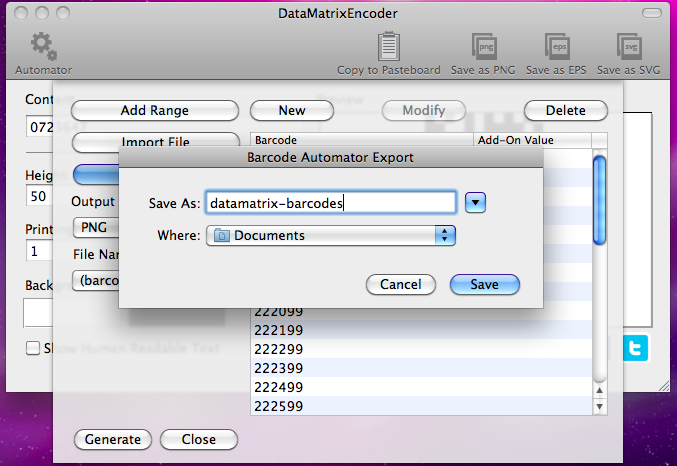 DataMatrixEncoder is impressively working Data Matrix barcode generator. 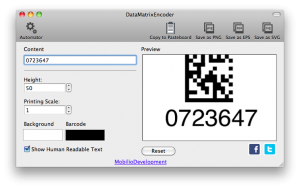 If you want to be innovative and original try using Data Matrix in your daily lifestyle. For example encode your facebook page, print it, label it around your school and wait for visitors. 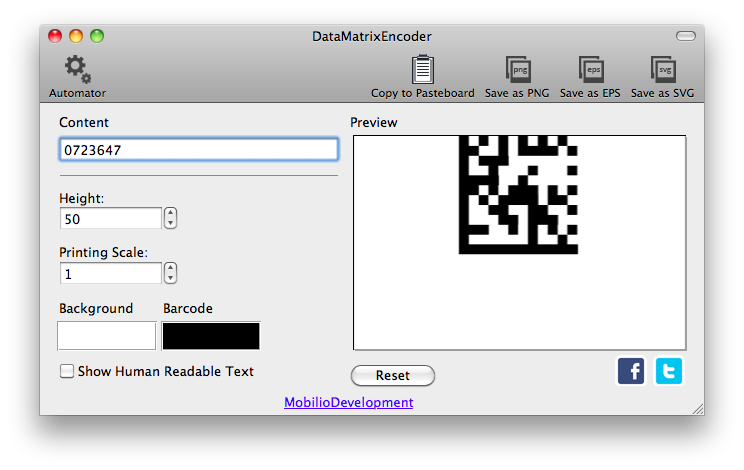 Great way to meet new people, who were just curious what will happen if they scan the code. 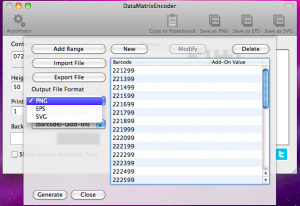 Check out our DataMatrixEncoder, it is available on the Mac AppStore. 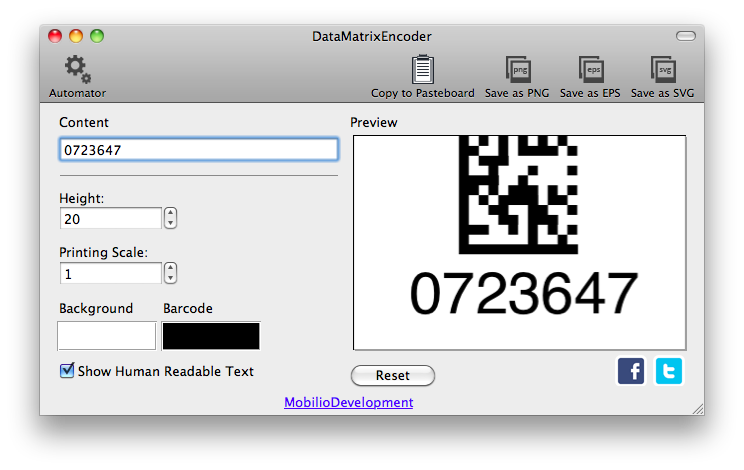 Also look at “The list of all Mobilio’s barcode generators“. Data Matrix barcode is a two-dimensional matrix code which can store numeric digits, text or binary data. It is made of small, black-and-white squares/rectangles called cells. 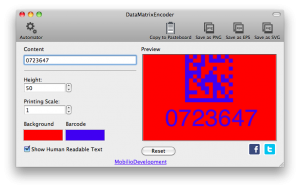 With this cell pattern the Data Matrix codes are able to store information from a few bytes up to 1556 bytes, or talking in figures – up to 2,335 alphanumeric characters. 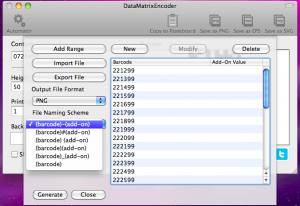 There are two key elements of a simple Data Matrix code grouped in the so called “finder pattern” and “timing pattern”. 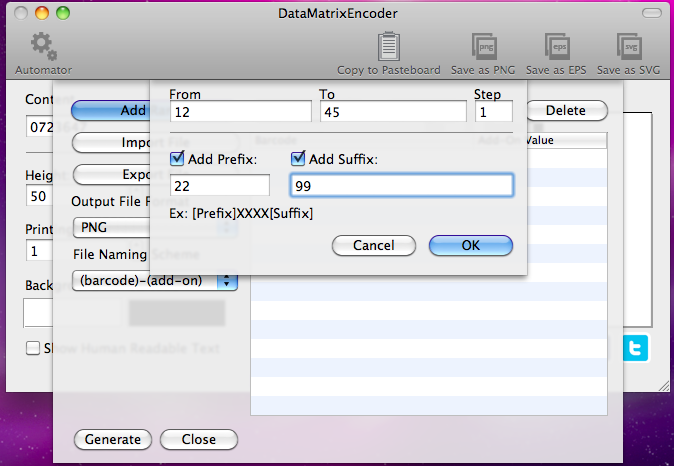 The finder pattern is made of the left and the bottom solid borders which form an “L” shape. 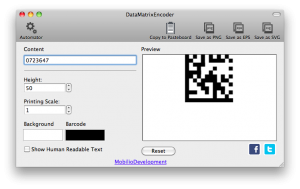 Their main purpose is to orient the reading device while scanning. 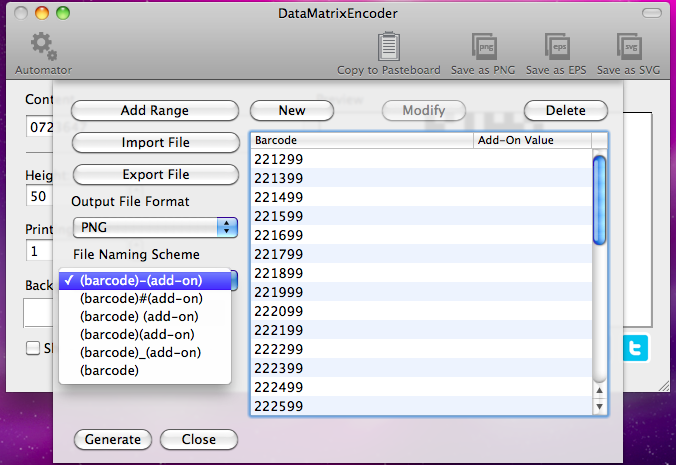 The timing pattern is composed by the other two borders with the only difference that they are not solid but checked. The sequence of black and white cells practically tells the user how many rows and columns there are. The amount of information encoded corresponds with the number and sizes of the cell. The more data there is, the more and smaller the squares will be. 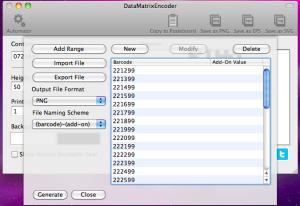 Data Matrix sizes vary form 8×8 to 144×144. 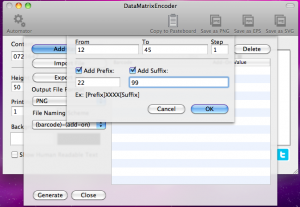 Error correction is a very convenient feature of the Data Matrix especially if there is a chance your code to be damaged. 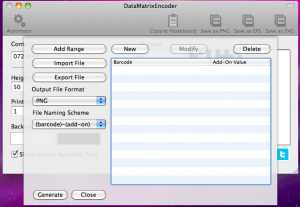 What Error correction allow you is basically to lose part of the squares/rectangles and you code still to be readable. 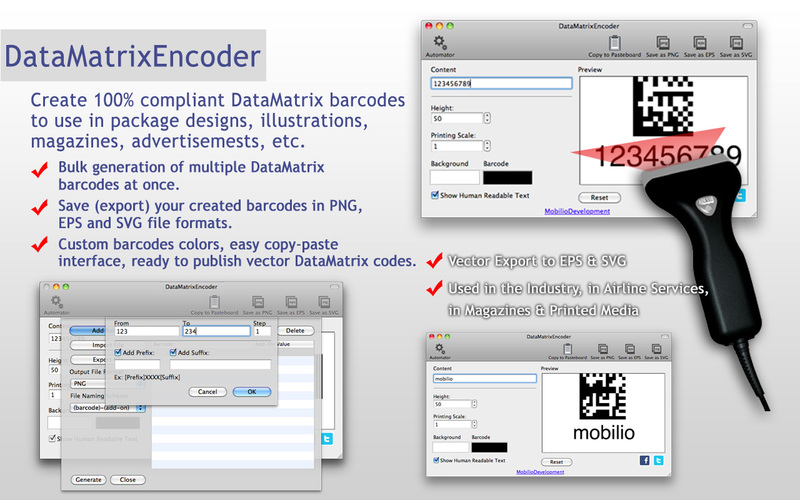 The high data capacity and the other convenient features of the Data Matrix make it widely used not only in the industry for product initialization but as an advertising tool too. Here you can see how to work with the DataMatrixEncoder by watching our video tutorials.